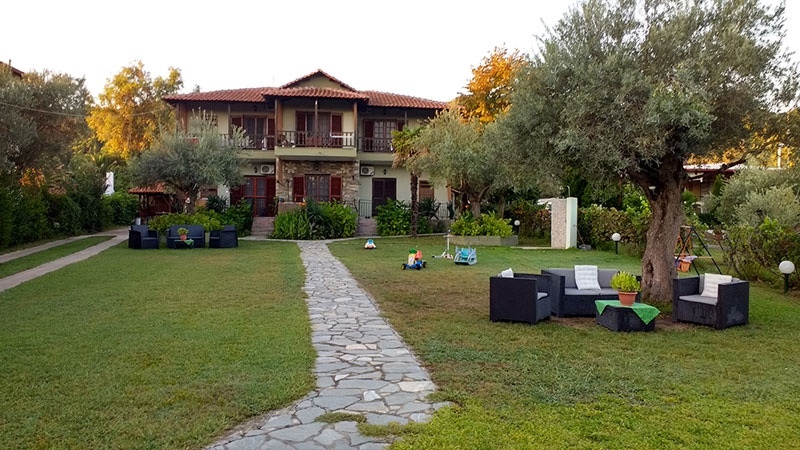 The small family hotel of Villa Gorgona is located just 100 meters from the sea in Vourvourou, Halkidiki. 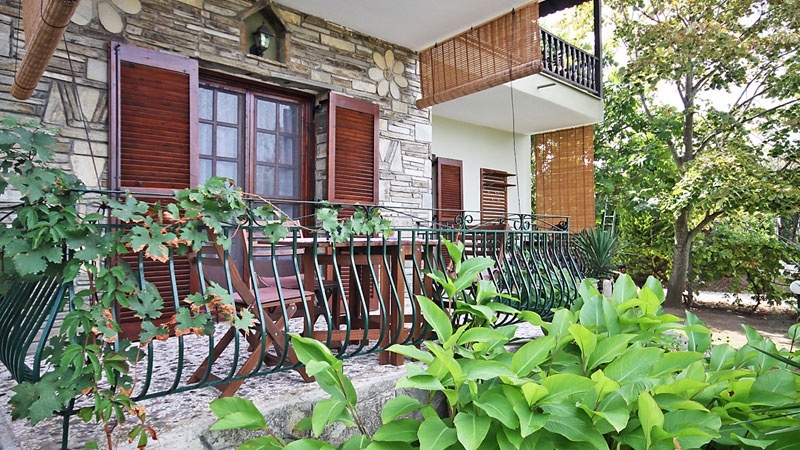 Vourvourou is one of the favorite destinations in Sithonia. 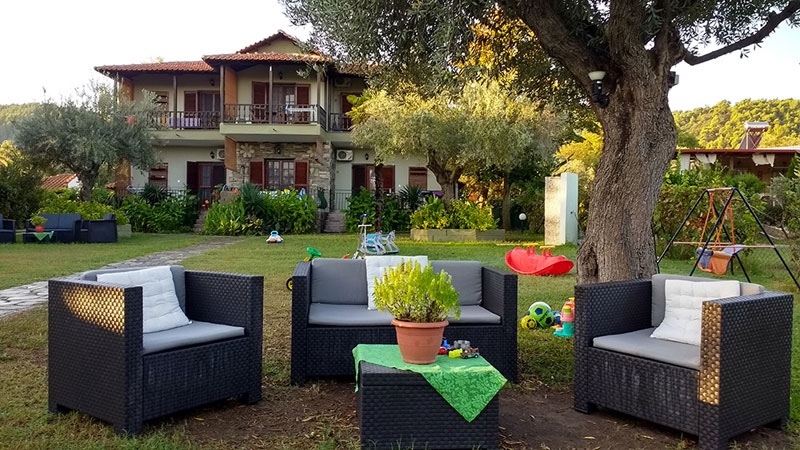 The villa is located in a beautifully landscaped garden where the guests can enjoy solitude and are guaranteed to have a restful vacation. 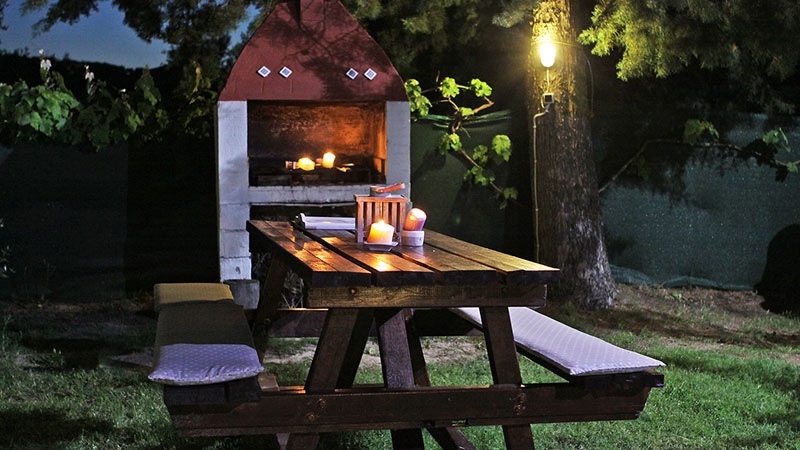 In the garden is a gazebo with a barbecue, a play area for the children and free covered parking and WiFi internet. Pets are also welcome, by arrangement only. 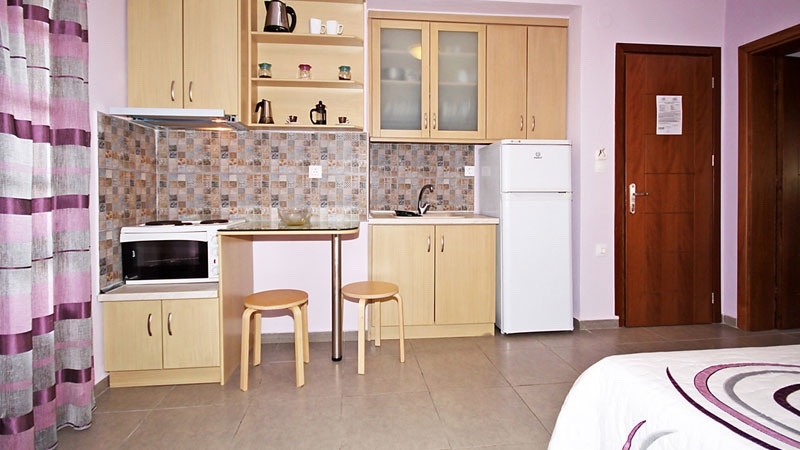 The apartments can accommodate up to 5 persons. 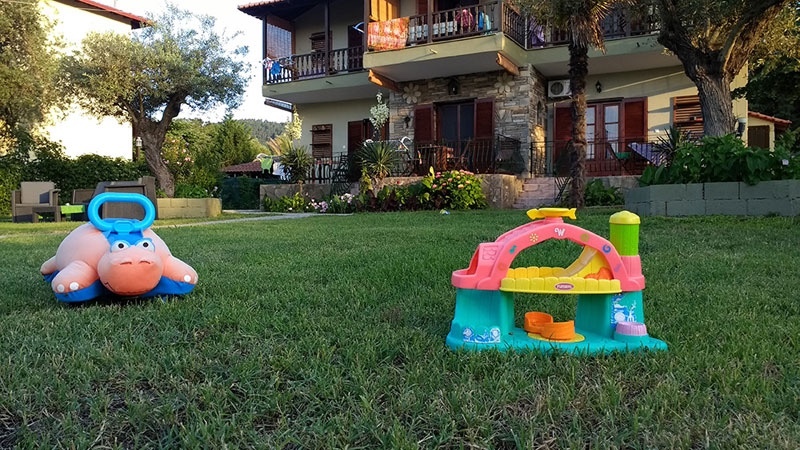 Each is equipped with a kitchenette (large refrigerator, oven, stove), bathroom with shower, hair dryer, air conditioning, LCD satellite television, safe box, and a balcony with a garden view. 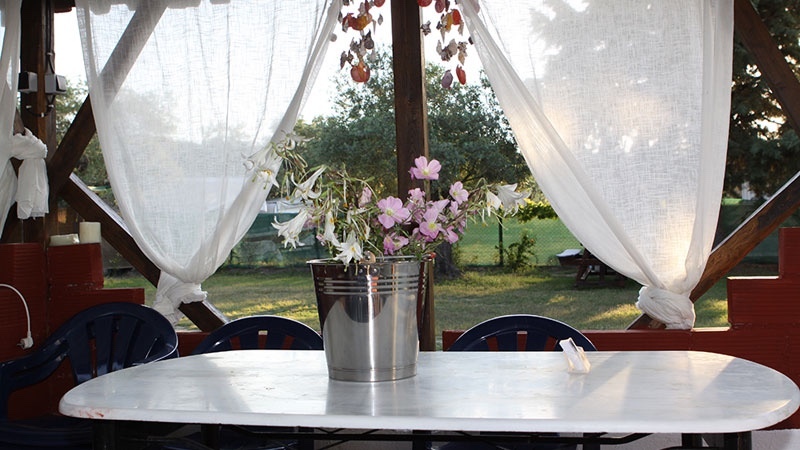 Within close proximity to the villa are many restaurants and activities to enjoy such as the island of Diaporos and horseback riding. 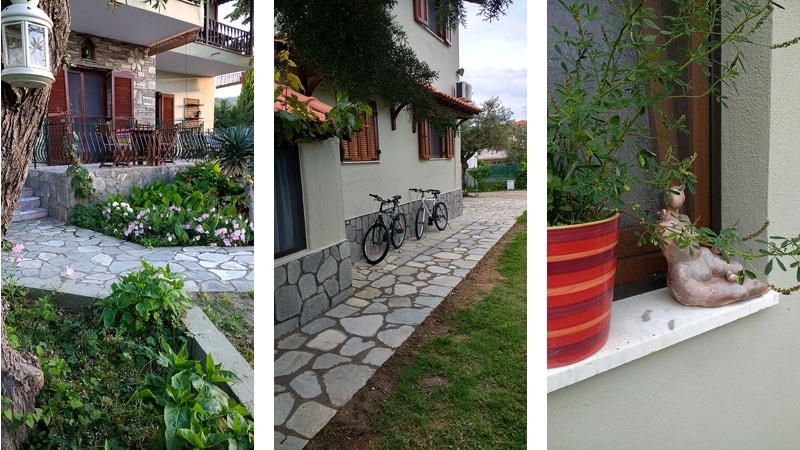 Very quiet villa with only 6 studios-apartments in a large and beautful garden. Ideal for families.